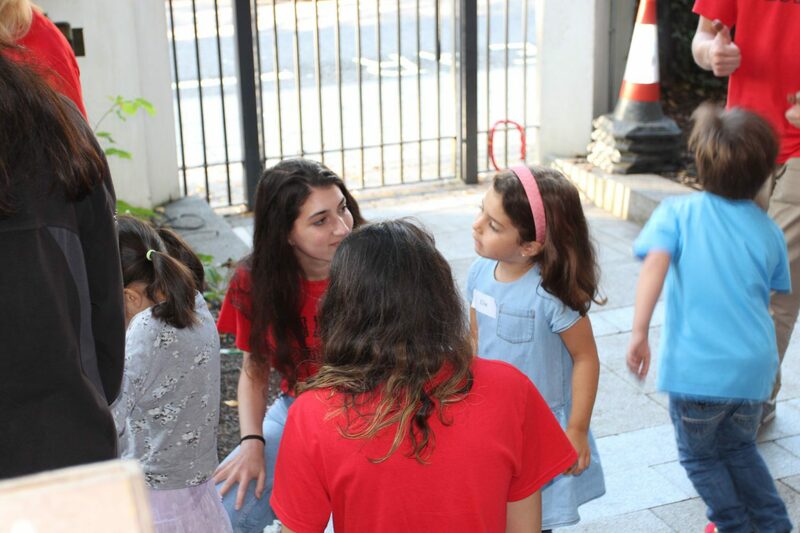 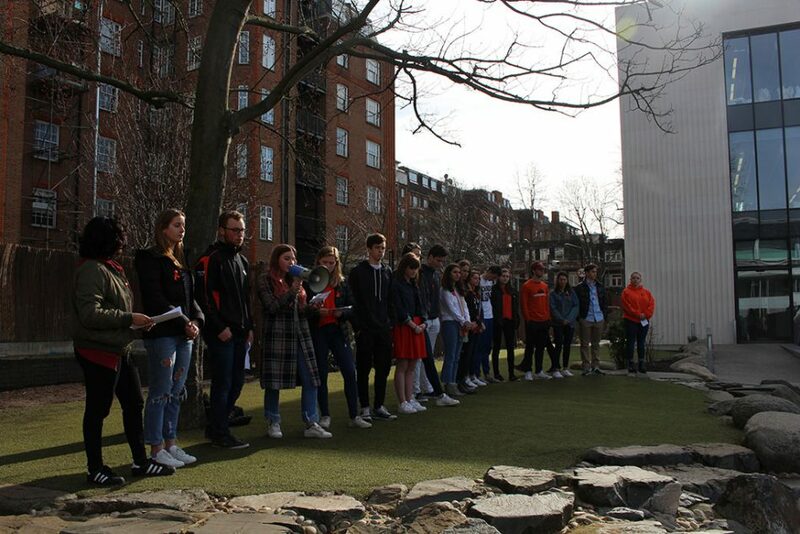 On May 31, the Human Rights Seminar (HRS) class hosted a Human Rights Symposium. 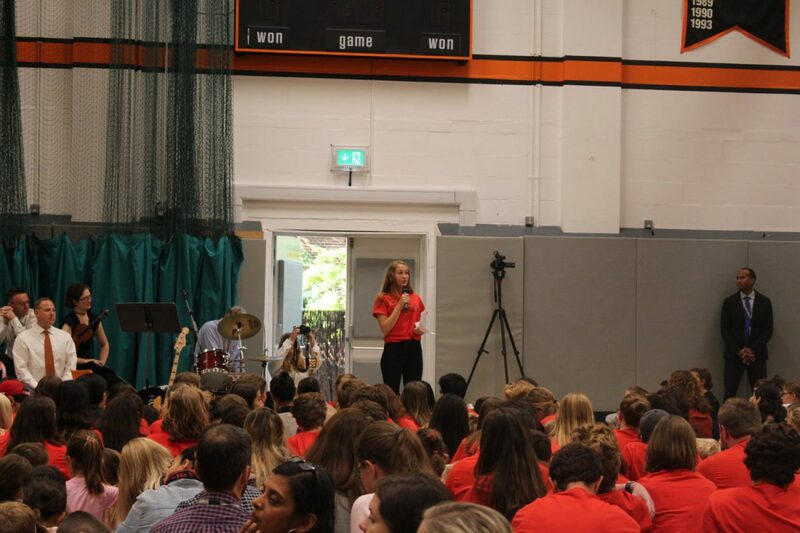 The day began with keynote speaker Heather Barr, a senior researcher at Human Rights Watch, introducing various human rights issues ranging from the maltreatment of factory workers in Bangladesh to girls education in Afghanistan. 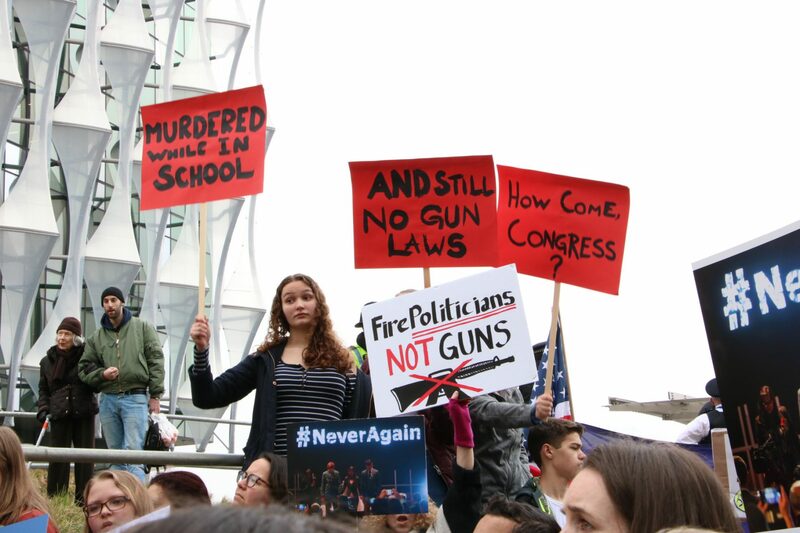 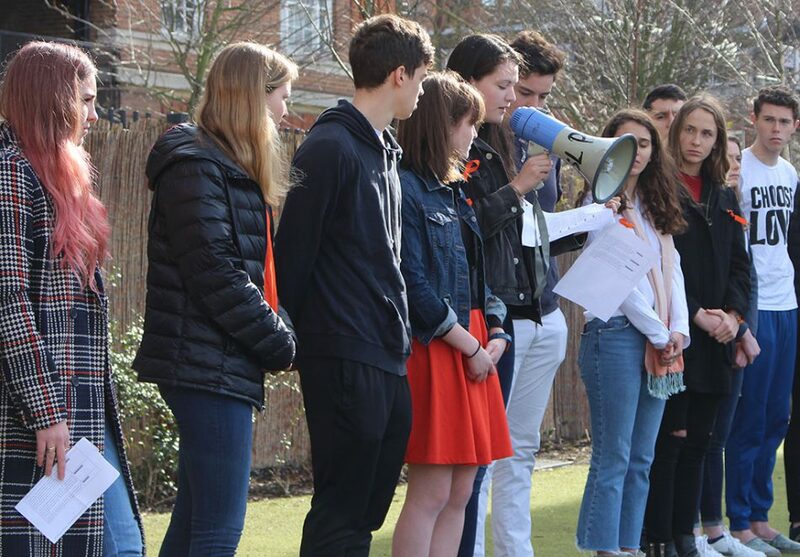 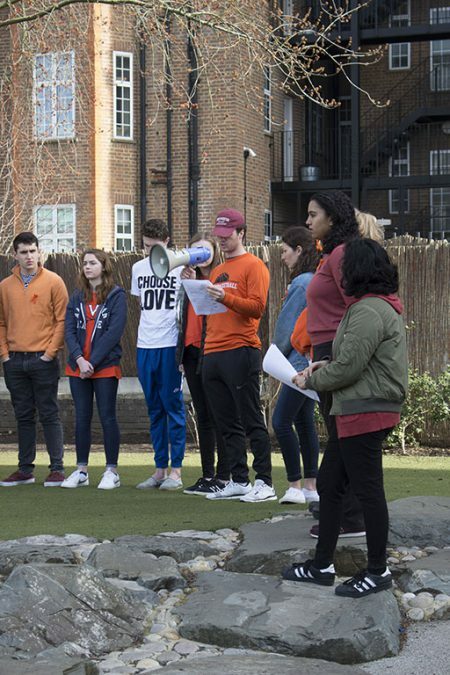 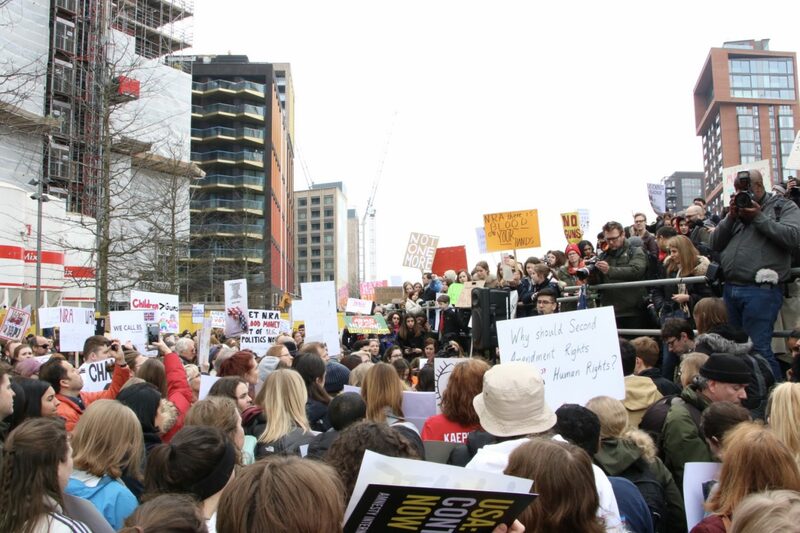 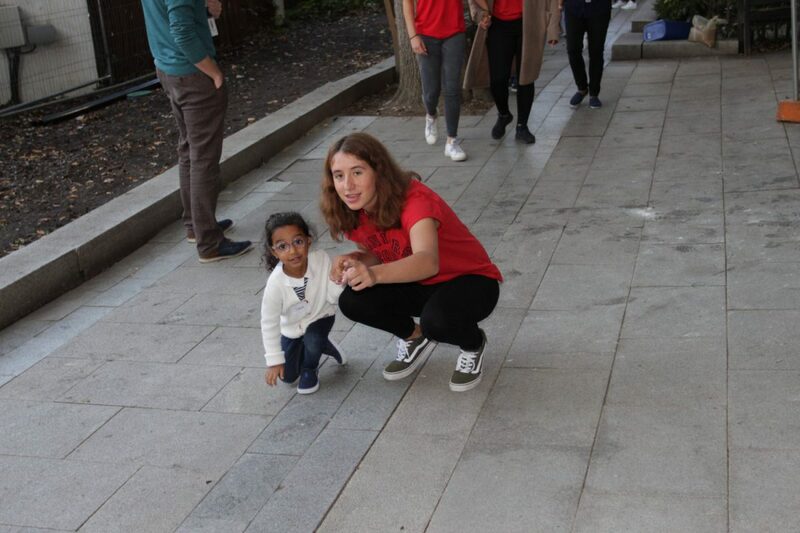 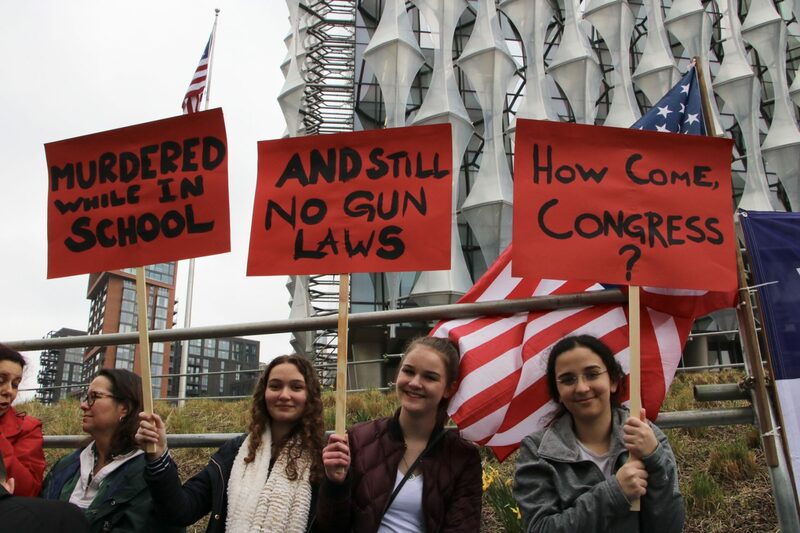 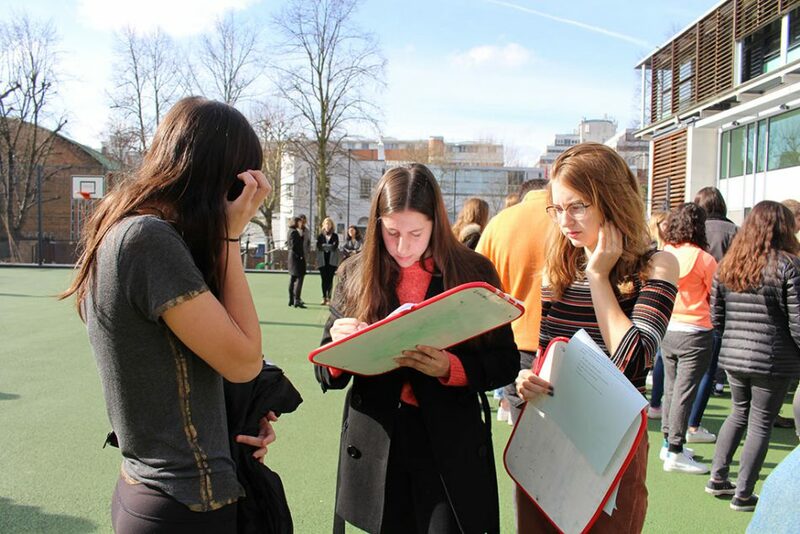 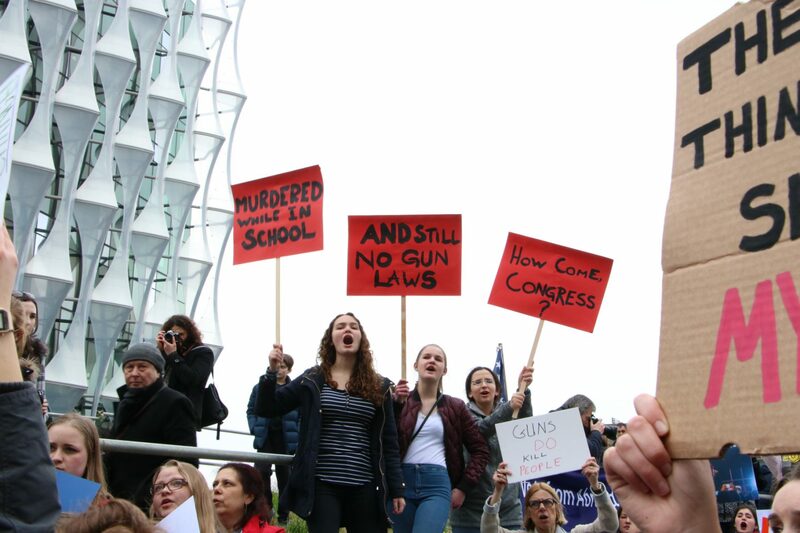 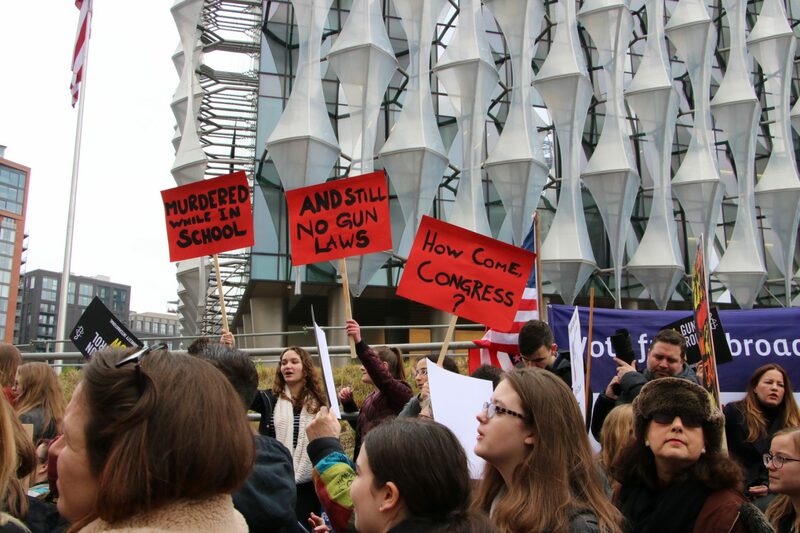 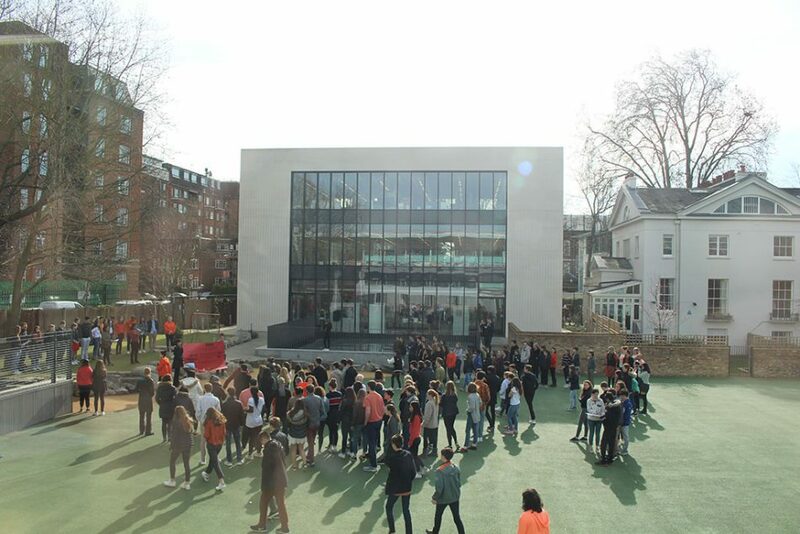 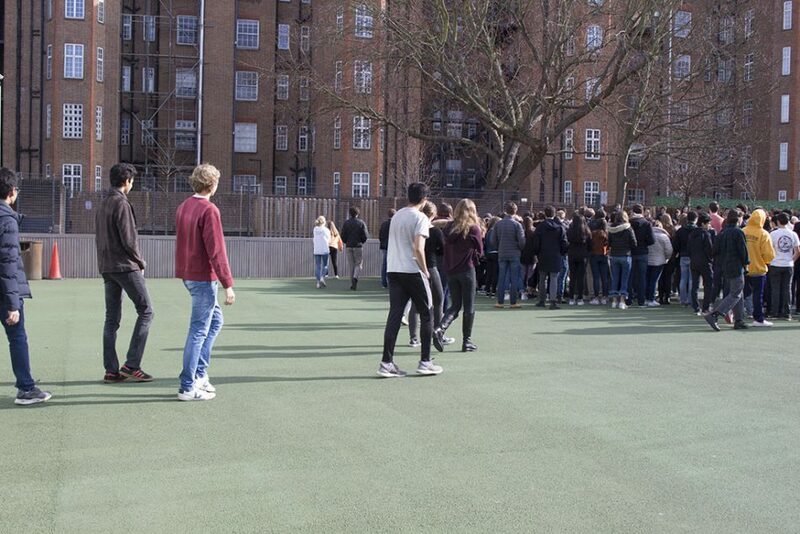 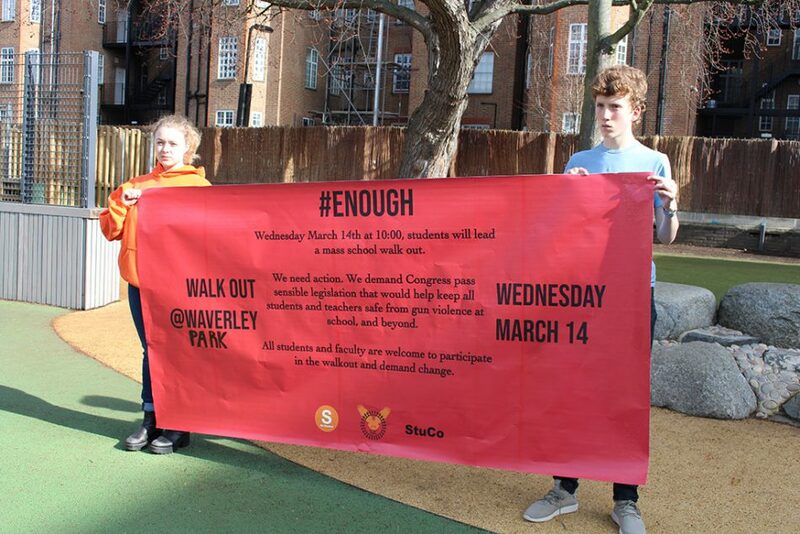 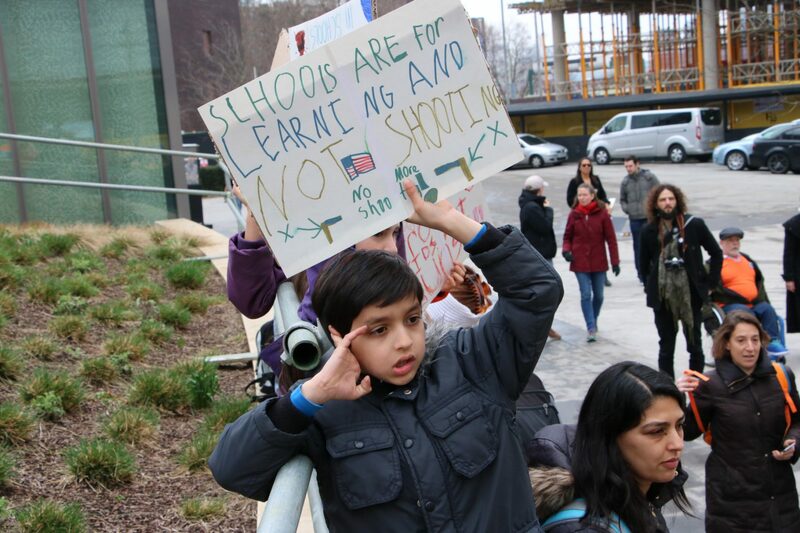 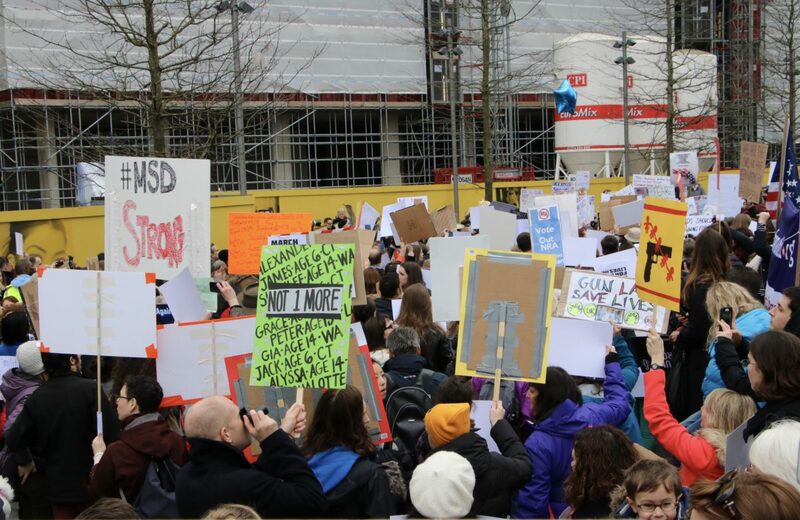 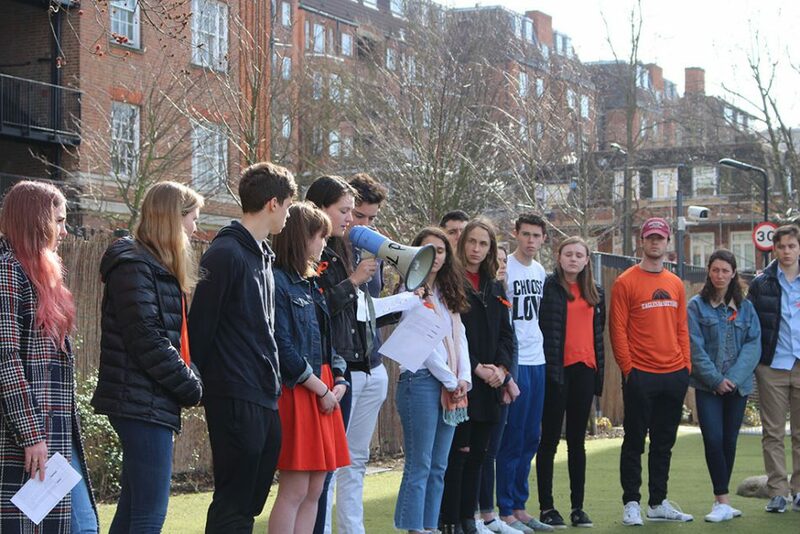 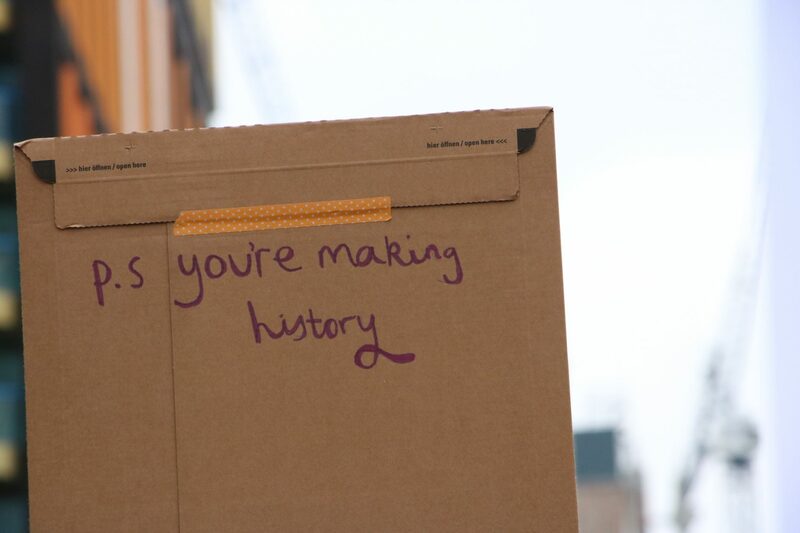 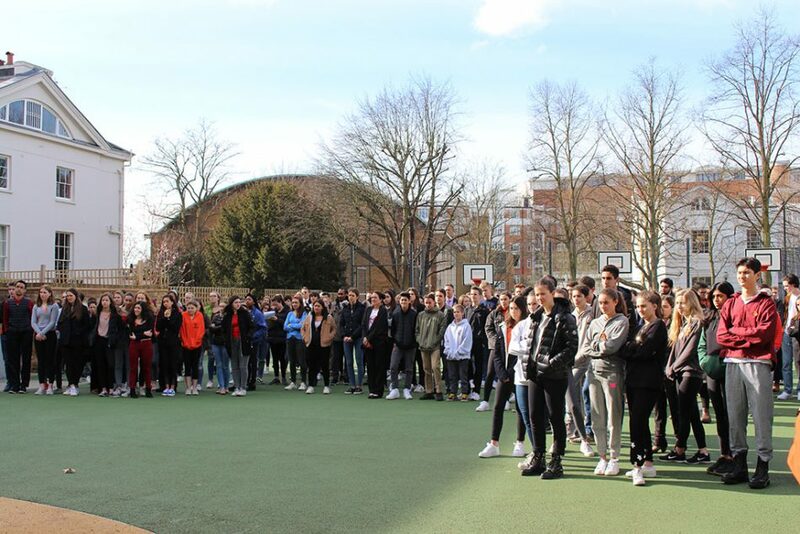 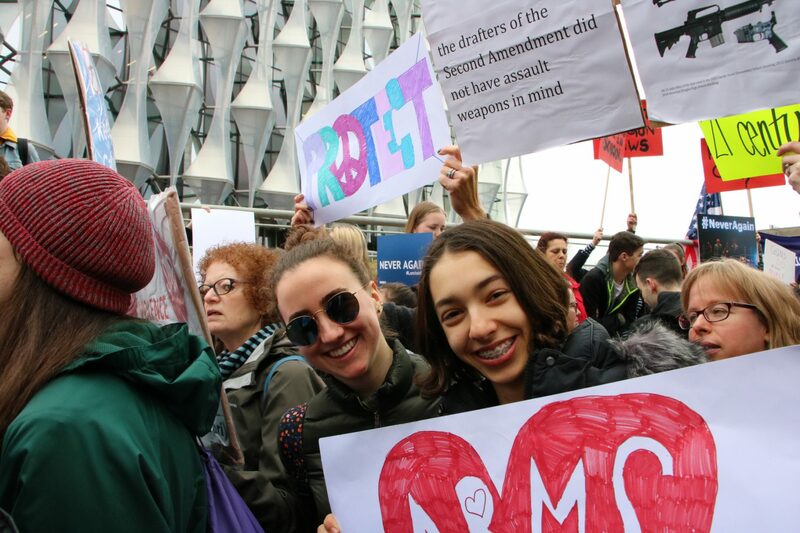 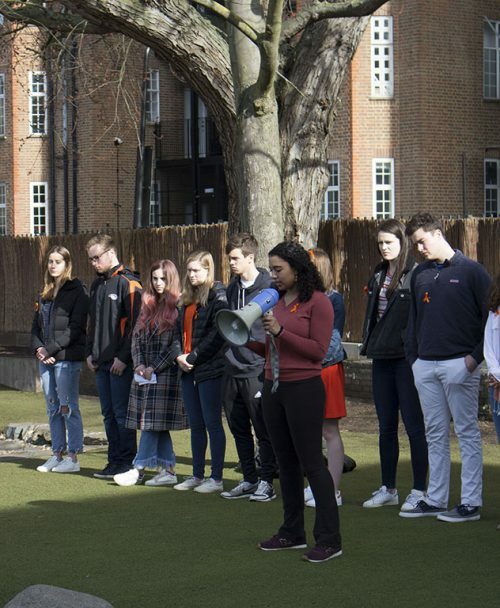 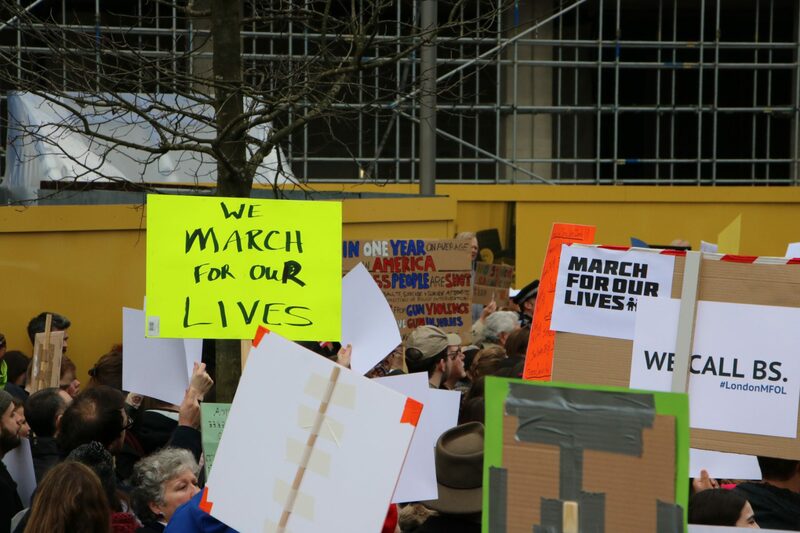 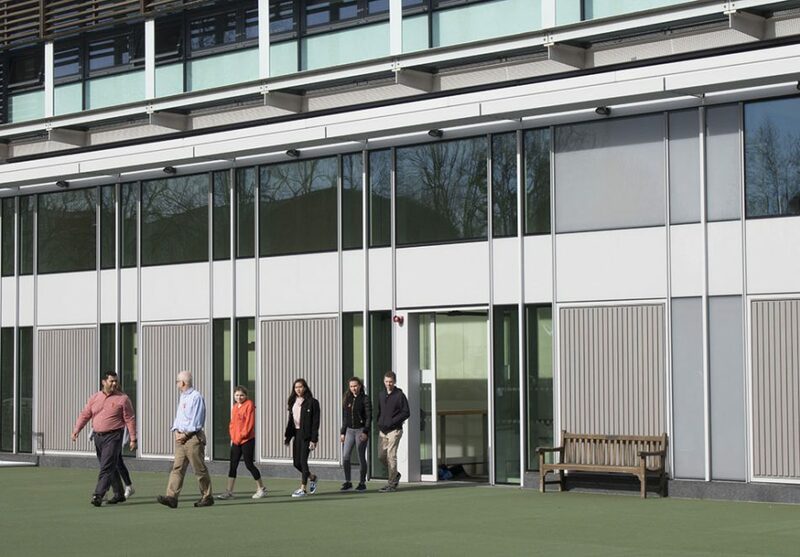 On March 24, ASL students and faculty attended the March For Our Lives rally in front the new U.S. Embassy in Vauxhall. 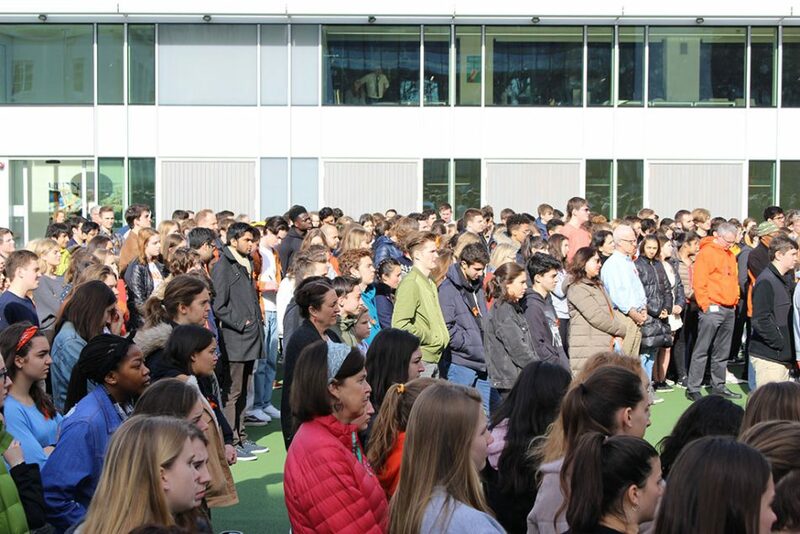 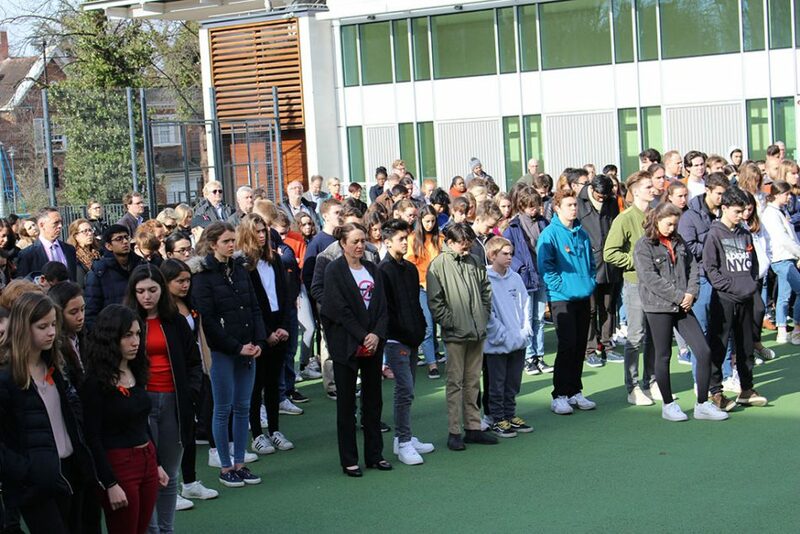 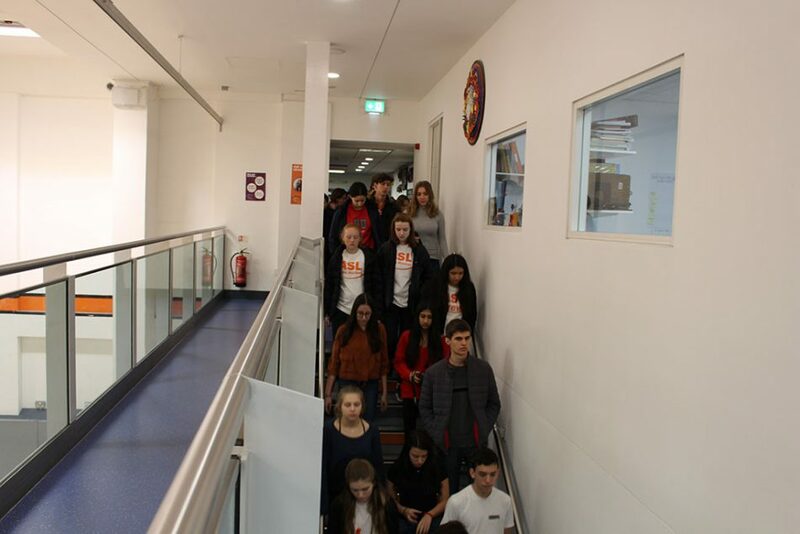 To honor the 17 victims who were killed at the Stoneman Douglas school shooting, the Social Justice Council (SJC) led a high school-wide walkout today. 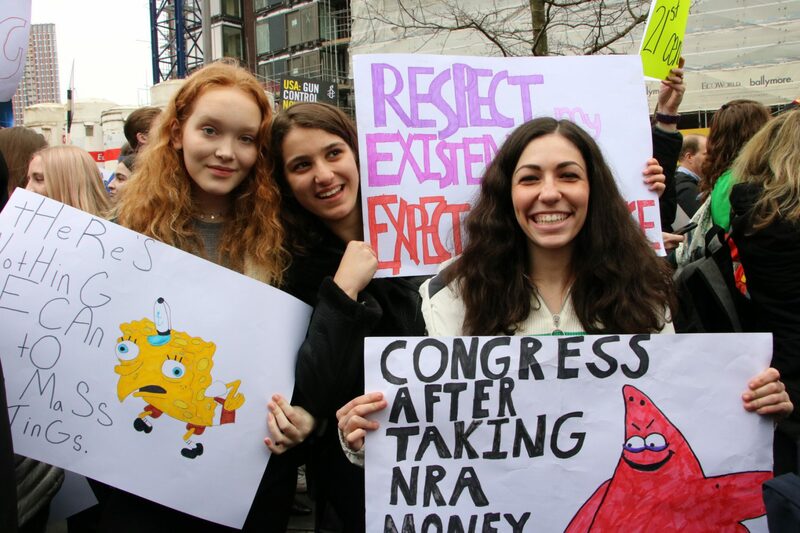 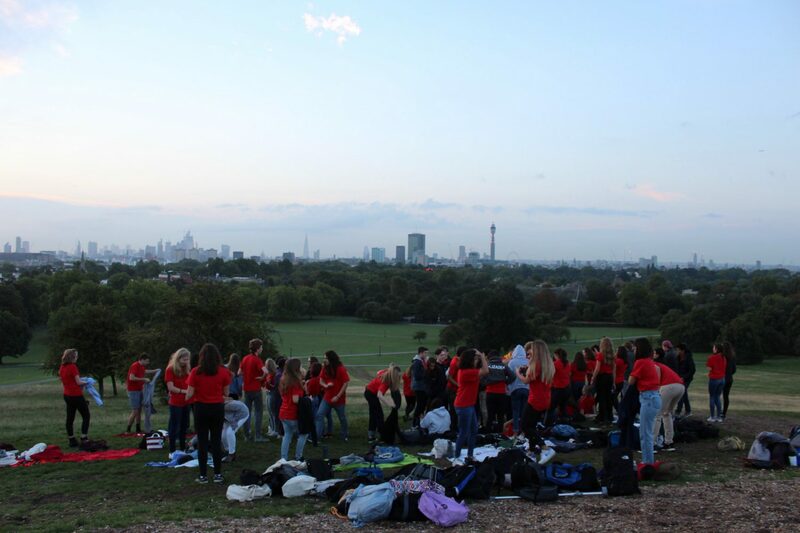 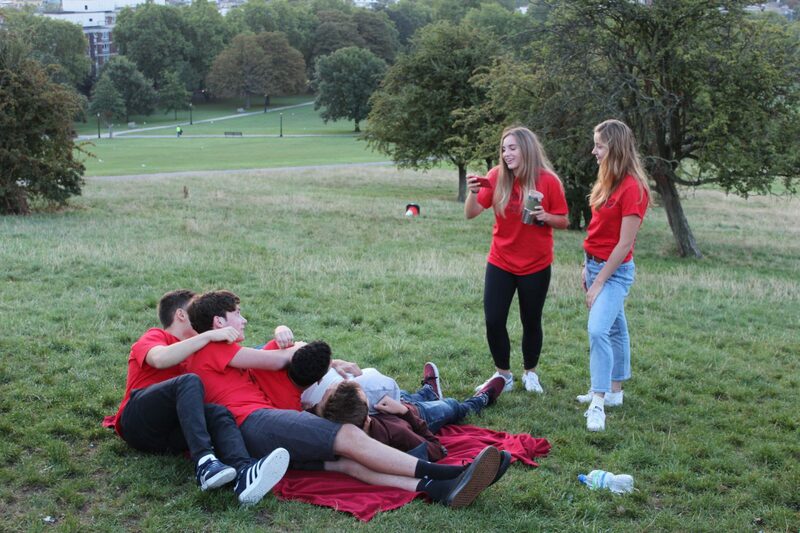 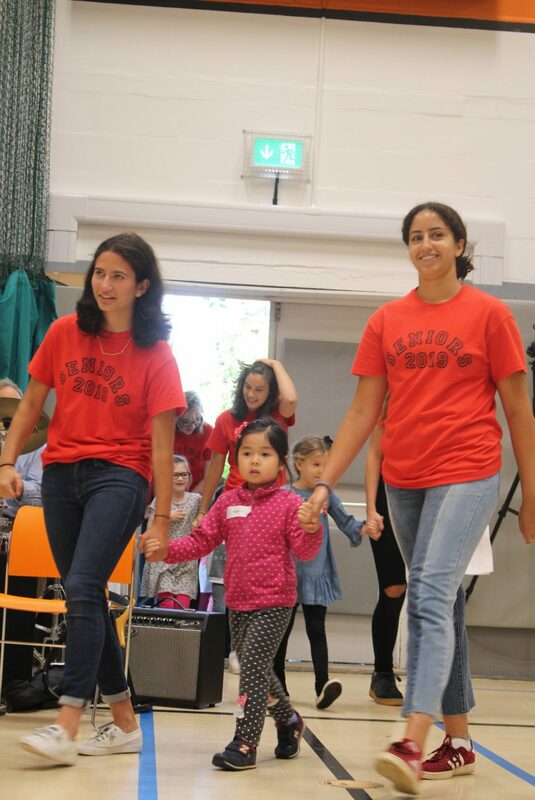 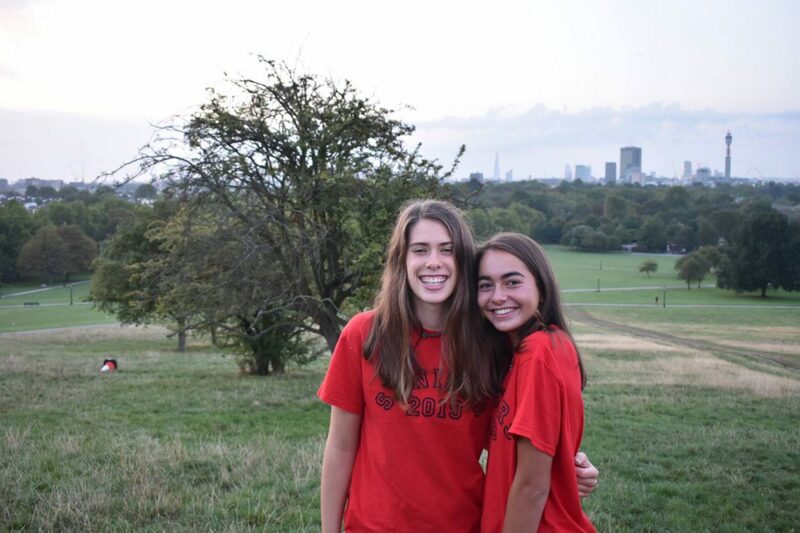 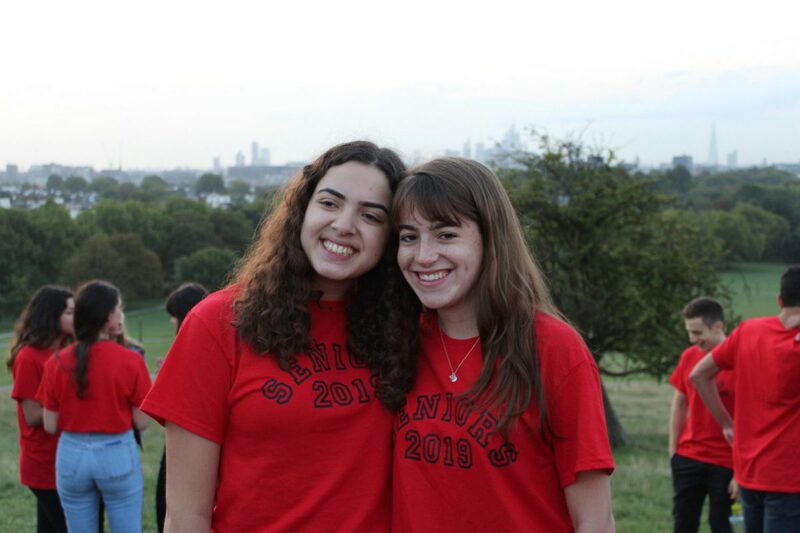 Photos by Managing Editor: Online Christina Leonard, Online Editor Imogen Weiss, Media Editor Olivia Abrams, Staff Photographers Emily Forgash, Addie Griggs and Piya Garg. 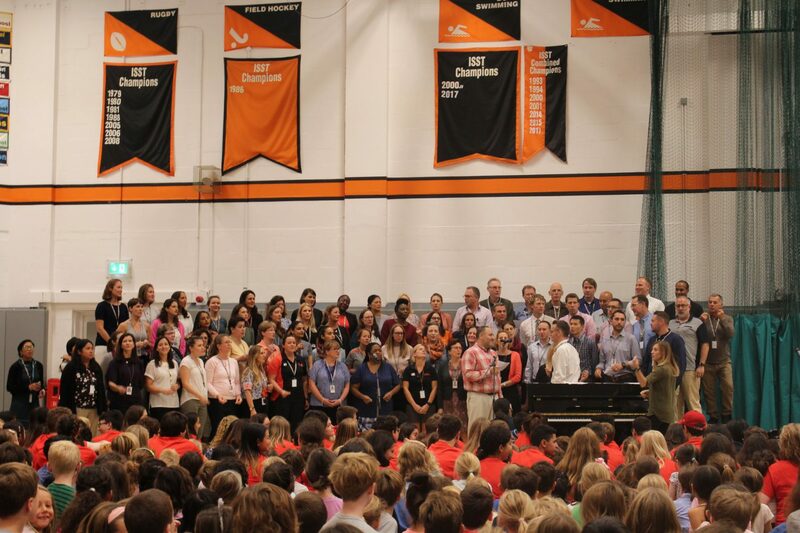 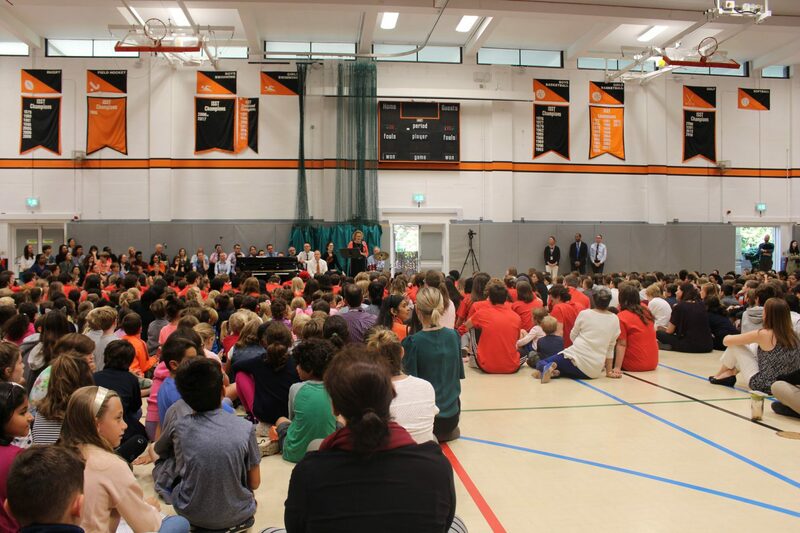 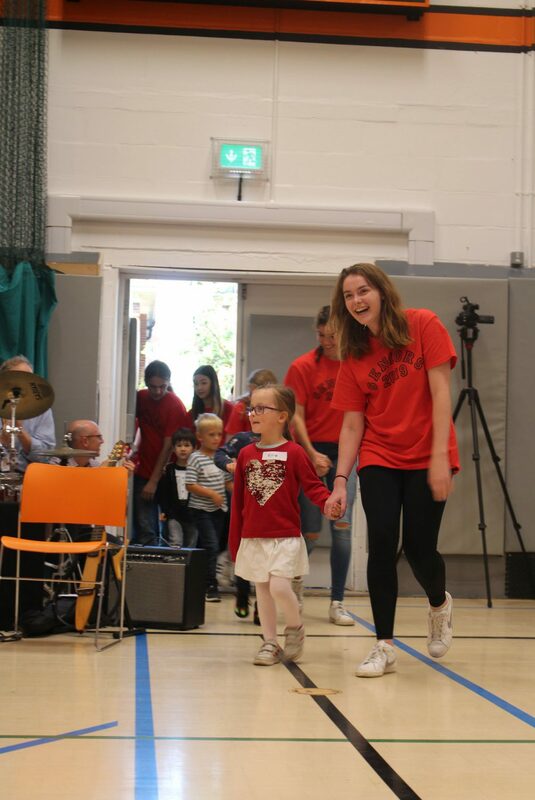 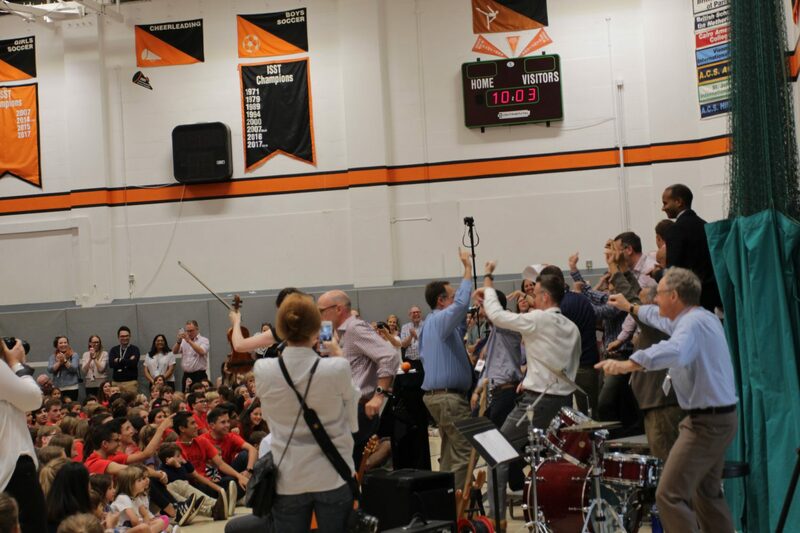 Students, teachers, faculty and staff from all three divisions gathered at a special all-school assembly on May 5 to honor Head of School Coreen Hester. 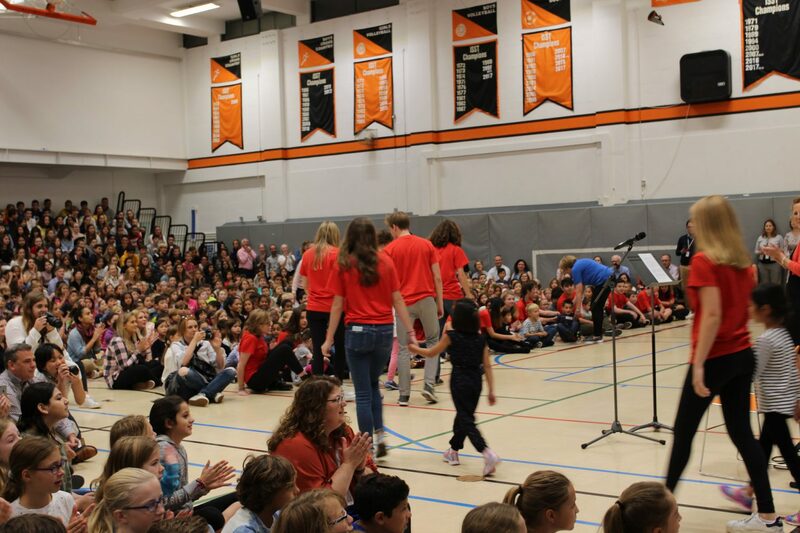 Hester will retire at the conclusion of the school year, after working at the school for the past decade.